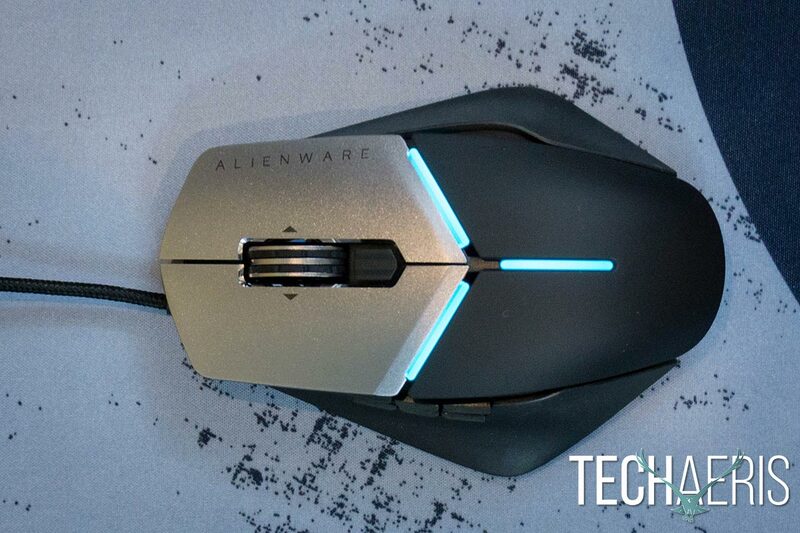 The Alienware Elite Gaming Mouse looks fantastic and has all the makings of a decent gaming mouse with its swappable button and wing plates. We’ve been looking a few of Alienware’s latest gaming peripherals lately and now it’s time for the last! 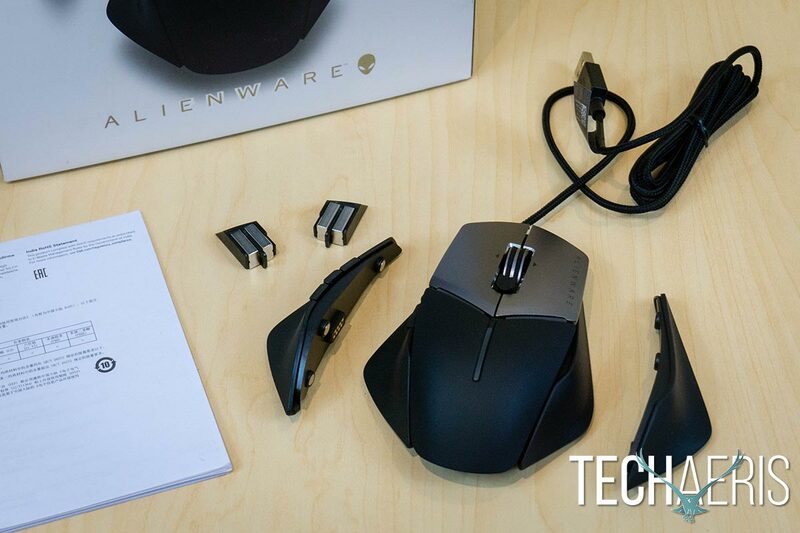 Our Alienware Elite Gaming Mouse review takes a look at a gaming mouse with interchangeable side plates, removable weights, and the big brother to the Alienware Advanced Gaming Mouse we already reviewed. 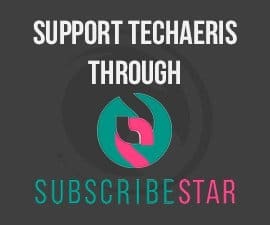 Read on to see how it compares! 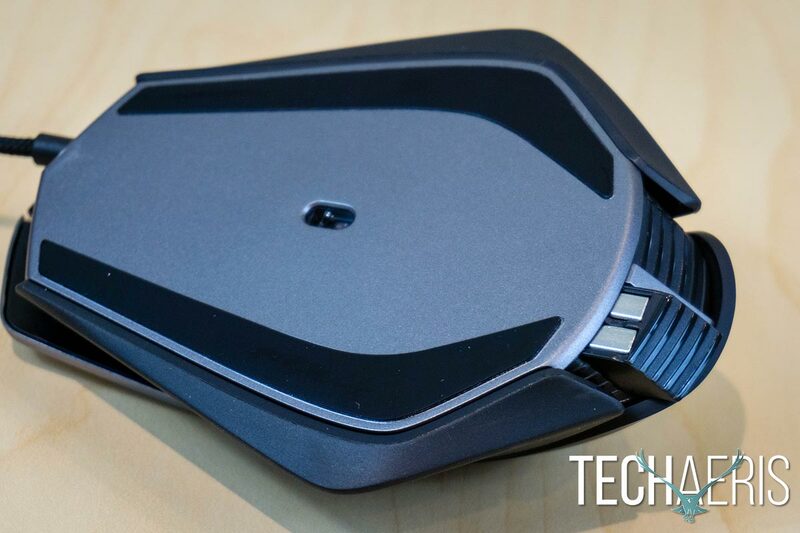 At a glance, the Alienware Elite Gaming Mouse doesn’t look all that different from their Advanced Gaming Mouse and boasts the same lower profile design. There are a few notable exceptions right off the top with the base mouse. For starters, the cable is braided (yay! 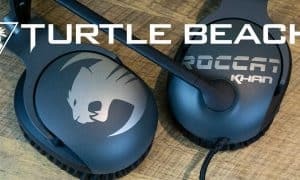 ), the mouse buttons are manufactured from anodized aluminum, and the sides and palm rest are coated with a soft-touch paint. While the soft-touch paint finish looks nice, I found there were some issues with it as I’ll discuss in the Performance section. 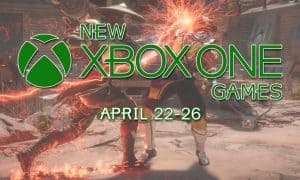 Aside from that, the top is pretty much the same with the mouse buttons angling up towards each other at the top of the mouse and down towards the middle of the mouse with the Alienware wordmark along the outer edge of the right mouse button. 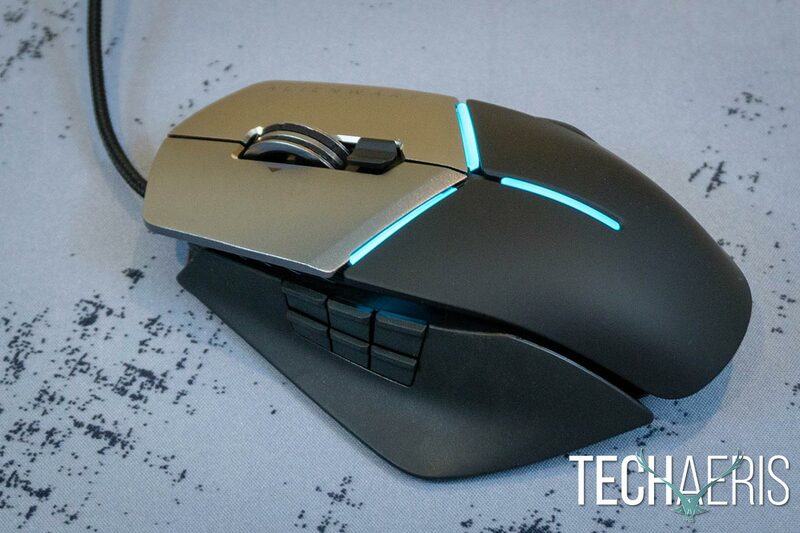 The Alienware Elite Gaming Mouse features anodized aluminum mouse buttons. Inset between the mouse buttons is the scroll wheel which resembles a tire rim without a tire on it. Inset into the scroll wheel are two rubber rings for added grip. On either side of the scroll wheel is a triangle pointing away to indicate the tilt functionality of the wheel. Just below the scroll wheel is a raised DPI toggle switch. 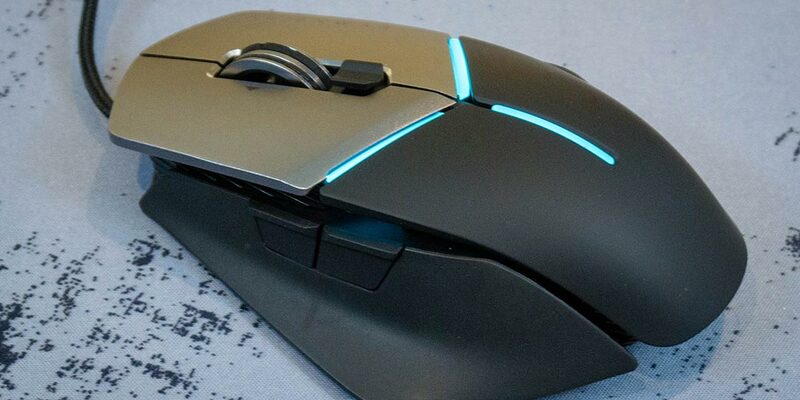 Rounding out the top of the mouse design are a pair of LEDs below each mouse button with a third that runs vertically along the palm portion of the mouse. The bottom of the mouse is pretty nondescript and houses the optical sensor in the middle as well as two smooth slider components which run lengthwise along the left and right edge of the mouse. 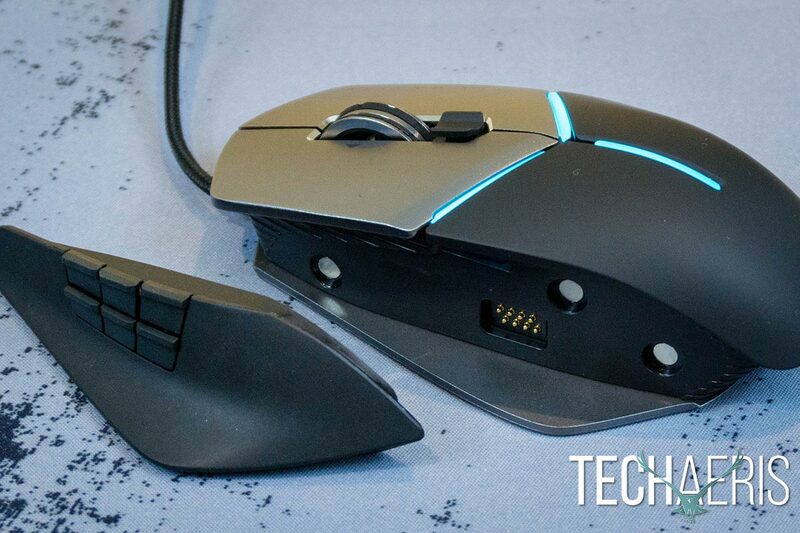 After that, the Elite Gaming Mouse starts to stand apart in a couple ways. For starters, the side wings have a bit of a gap between them and the top of the mouse, making for a more aggressive design. The side buttons are flat in design with a lip on the upper edge of each button. Unlike the Advanced version of the mouse, the button placement on this one is much better due to the slightly lower placement — at least in the case of the two-button plate. In addition, the left side wing is removable and can be swapped for the included six-button left wing. The buttons on the six-button wing are slightly more than half the hight of the buttons on the two-button wing. Unfortunately, the smaller size made them a bit harder to access and know which one you were pressing. Six side buttons are nice for extra gaming functionality but are a bit small in this case. Likewise, the flatter right side wing is also removable for a more elongated wing which, when used, gives the mouse a symmetrical look. The side plates are easily removable and are held in place by three magnets which are more than strong enough so the plate doesn’t slip off or slide around while in use. The side wing plates are swappable and held in place by magnets. 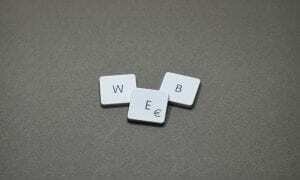 When flipping the mouse over, you’ll notice a pair of grooved sections, one on either side of a grey middle piece. Pushing these in will cause them to pop back and you can then remove them to expose the weight trays. Each weight tray can house up to two of the included 5g weights, allowing you to increase the weight of the mouse by 5, 10, 15, or 20g. It’s definitely a nice feature that I’d love to see more gaming mice include as the default weight isn’t always to one’s liking. The weight trays are located on the back underside of the mouse. While similar looking to the Advanced Gaming Mouse, the Elite Gaming Mouse looks just that much better and, with the swappable side plates and weights, is that much more customizable. We’ve already covered this in the Advanced Gaming Mouse review but assuming you haven’t read that one, we’ll cover it here again. The Alienware Control Center allows you to customize the lighting, assign macros, and adjust other settings on the mouse. The ACC is split into three main screens: Lighting, Macros, and Settings. The Lighting tab is pretty self-explanatory and lets you specify a colour, choose from six presets, and adjust the tempo. 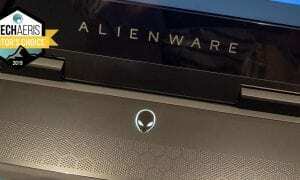 Alienware Control Center Lighting tab. 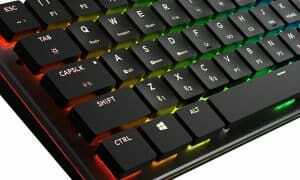 The Macros screen allows you to create and assign macros or keys to the two or six side buttons (depending on which left side plate you have installed) as well as to the scroll wheel press, forward, back, or either side tilt functions. Creating macros is easy as well. Alienware Control Center Macros tab. 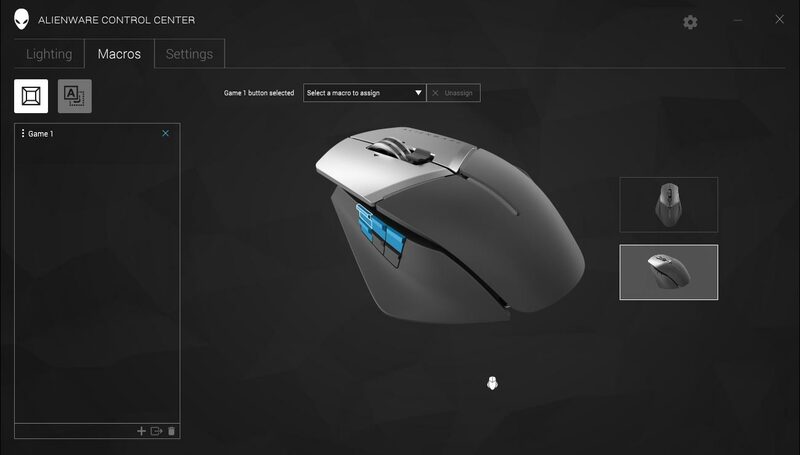 The Settings tab lets you adjust the polling rate delay, enable mouse acceleration, adjust click speeds, set five custom DPI levels, and more. 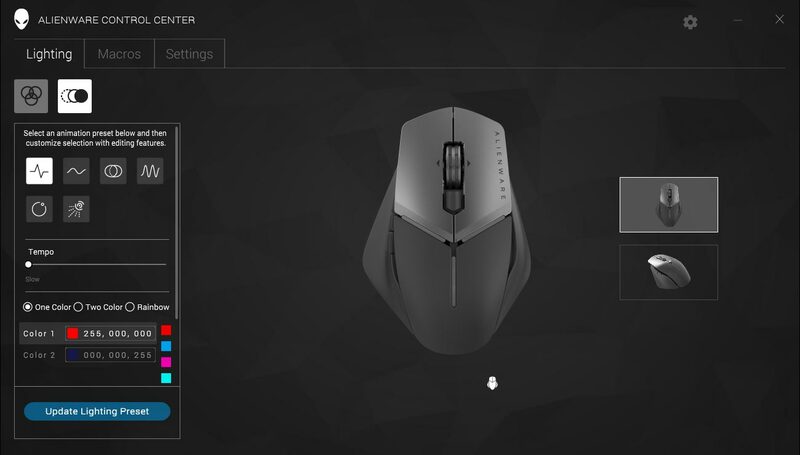 While the Advanced Gaming Mouse had two options greyed out — Lower Lift-off Distance and Surface Calibration — they are adjustable for the Elite Gaming Mouse. Alienware Control Center Settings tab. 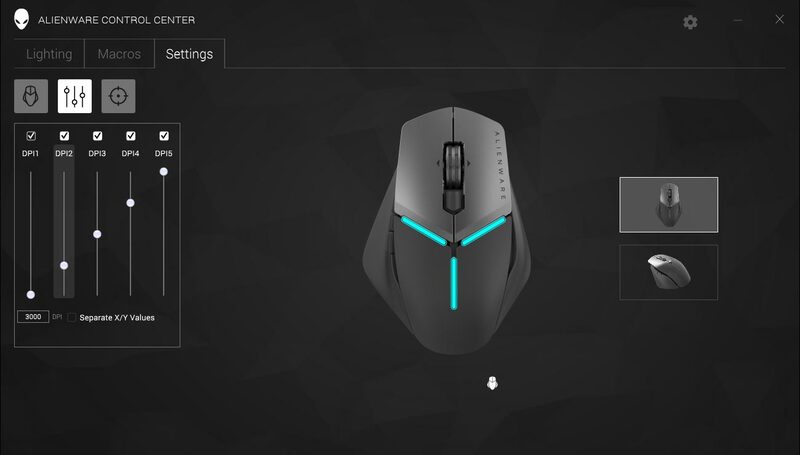 Finally, the settings cog lets you update the Control Center as well as the firmware on the mouse and other Alienware peripherals. To be honest, I’ve been mulling this section over for awhile and I don’t really know where to start. I want to love this mouse, the design is solid, the swappable button and right-wing plates offer extra customization, comfort, and usability. The option to add up to 20g of weight is nice as well. The button clicks and movement is nice and responsive, the five programmable DPI options with a maximum 12,000DPI is great, and the mouse is nice and smooth to use. However, all that being said, the soft-touch paint finish on the palm rest and wings, while comfortable, was something I just couldn’t get used to. I’m not sure if it was the finish coupled with the lower profile design — I really had no complaints with the comfort and actual usability with the Advanced Gaming Mouse — but the mouse just feels… slippery, for lack of a better word. 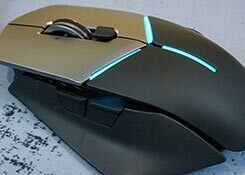 While performance was good during gaming, the feeling of the mouse slipping out of your hand ever so slightly while picking it up to move it over a bit was something I just couldn’t get past. For the most part, I loved the design and shape… I just couldn’t get used to the soft-touch paint finish. 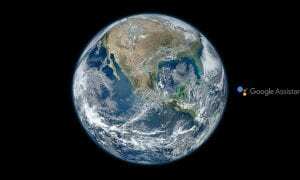 To be honest, this is most likely one of those subjective things that not everyone will mind. 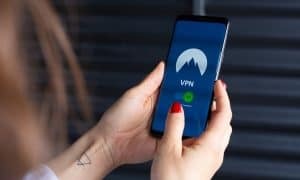 Some users may actually like this feel but I’m still struggling with it, even after a couple weeks of use. I suppose one could order the mouse from Amazon and take advantage of the return window… try it out for a few to get a feel for it. With an MSRP of $79.99USD/$99.99CAD, the Alienware Elite Gaming Mouse is fairly reasonably priced given its components and swappable plates. 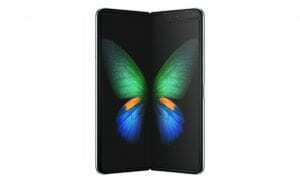 If you’re looking to save a few bucks, it’s currently selling for $74.99USD/$69.99CAD on the Dell website and $69.99 on Amazon. 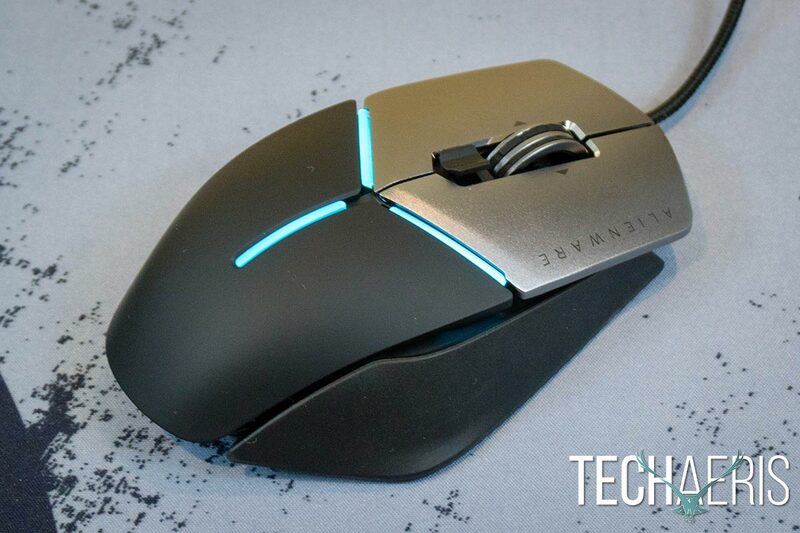 The Alienware Elite Gaming Mouse looks fantastic and has all the makings of a decent gaming mouse with its swappable button and wing plates. Unfortunately, at least for me, I found the soft-touch paint finish was too slippery and I couldn’t really get past that. If you are interested in this mouse, which performs decently, I’d highly recommend trying to find somewhere you can try it out first to see if the finish bothers you or if it’s something you can live with before buying. 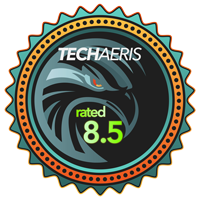 *We were sent a sample of the Alienware Elite Gaming Mouse (AW958) for the purposes of this review.